As a result of a positive CWD test on a whitetail buck in a Medina County deer breeding facility, Texas Parks & Wildlife (TPWD) has halted ALL transfers and liberations within the state. 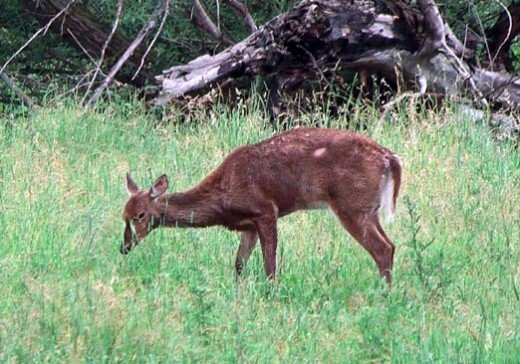 At the current time, the deer ranching industry in Texas has effectively been shut-down by this decision. More than one thousand landowners and their families, all dependent on deer management as a substantial source of income, are left in doubt as to the future of their business this year. In fact, the ranch from which the positive result occurred was participating in such a program, proving that the monitoring system currently in place is effective. Hundreds of these monitored herds have absolutely zero traceable connections to the index herd and have invested much effort and financing into building CWD status through the USDA. That these herds were also shut down is an unnecessary restriction of commerce creating financial hardships for Texas citizens. Though this test is not validated by the USDA, Texas has the authority and should take the lead in the utilization of live-animal testing in the management of this CWD scenario. Intensive deer management is vital not only to the health of the whitetail and its habitat, but also the entire Texas economy. As a $700 million industry, deer ranching produces a tremendous economic benefit for rural communities across the state. And the end result of members’ efforts is the creation of a host of new opportunities for quality hunts on private land-essential to the continuation of our rich hunting tradition in Texas.